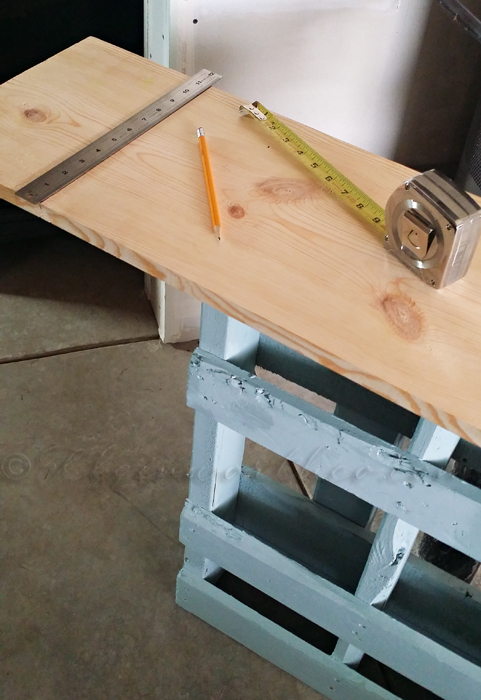 DIY Pallet Console Table is a quick and easy project that can be completed in just a few hours. 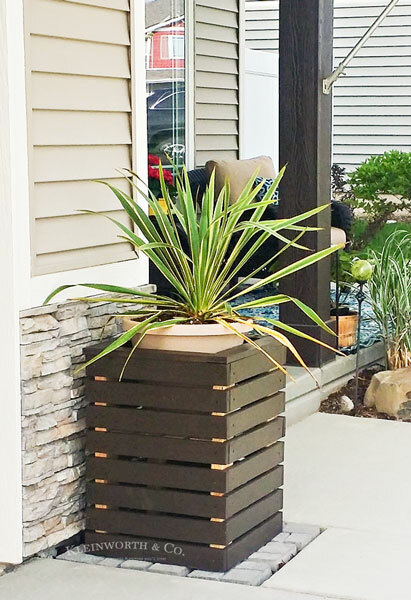 This repurposing project is great for small spaces. Looking for a quick and easy weekend project to spruce up a small space? 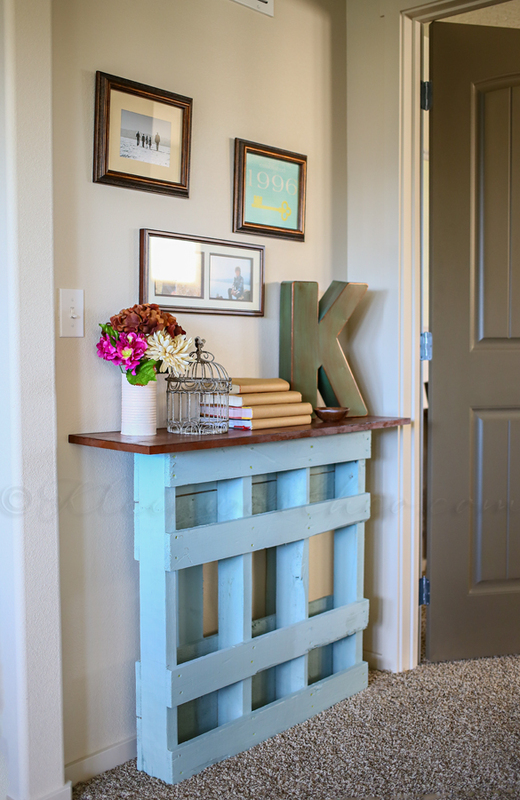 This DIY Pallet Console Table can be made in just a couple hours and is the perfect addition to an entryway, hall or any tight space that needs a little extra something. We had such a fun time designing & building our home. As we watched it all come together, there were a few areas where I knew I would have to create something custom to fit the space. Places like the little entry area to the master bedroom are not quite wide enough for a full-size piece of furniture. But it is wide enough that it looked like something was missing if I decided to leave it empty. Closer to the completion of the house I had decided that I needed a console table there & I started brainstorming on just how I would build it & what it would look like. It wasn’t until our range arrived the day after we picked up our keys that I knew what I would do. 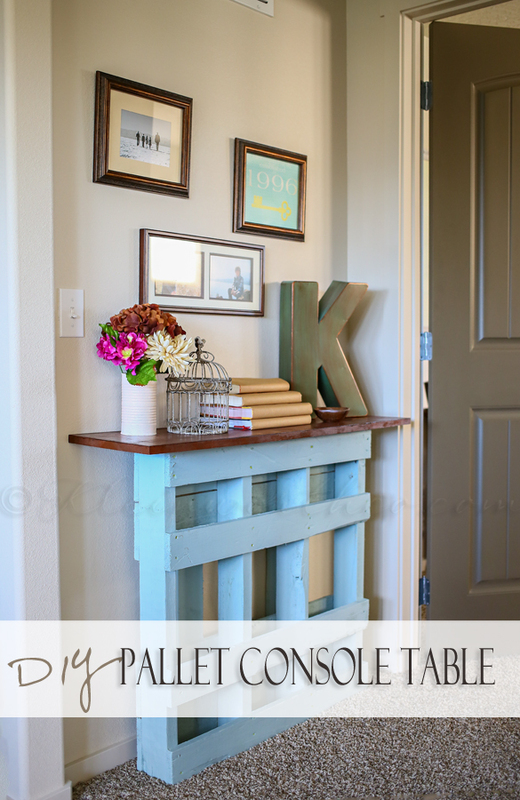 DIY Pallet Console Table was just what the space needed. HA! 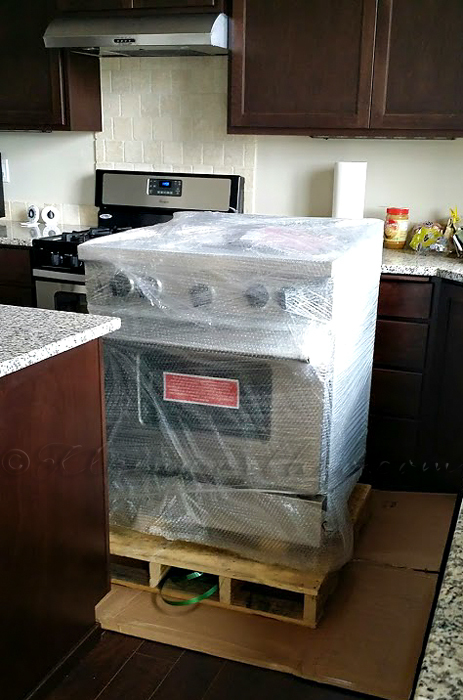 Because I told them to leave it just as it was & we would do the install since we had to remove the builder grade range that came with the house. He was worried that he would have to find a place to store the pallet. I assured him not to worry. I had a plan. We contacted my friends at DecoArt & let them know what I was planning on creating & let them know what I would need to put the project together. They graciously sent me a box full of chalk paint, creme wax, gel stain & a brush & I got to work. I set up in the backyard with a paintbrush & 2 (8oz) tubs of Americana Decor Chalky Finish paint. The color I chose for this is called Vintage. It’s like a light grey/green/blue. 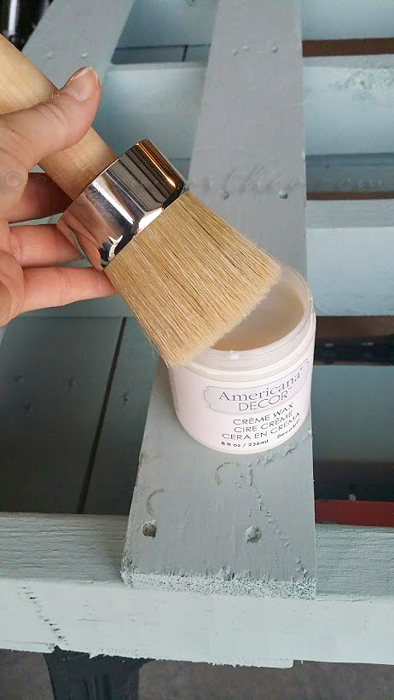 Then I sealed it with this Americana Decor Creme Wax. 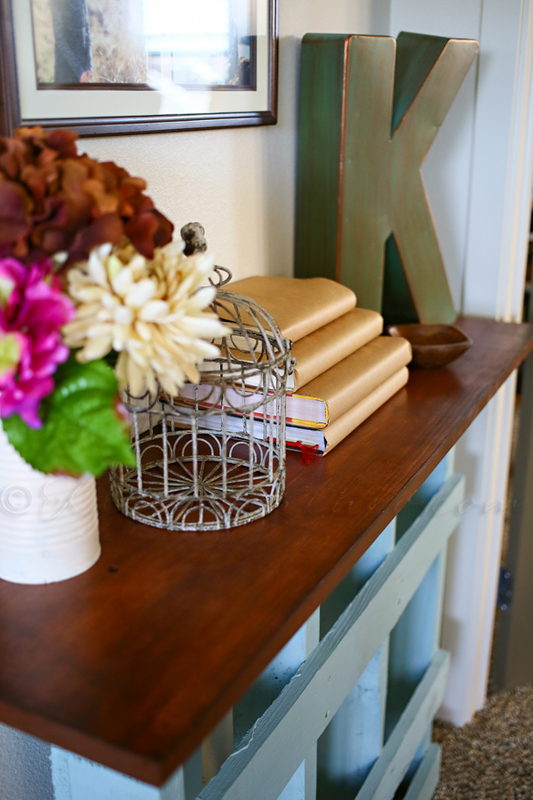 I have to say – this was my first time using actual chalk paint & wax. Now I know why it’s so popular. The paint went on in one coat – no priming. YAY! It took about 12 ounces to cover the whole pallet – even on the insides. So that’s pretty good. I was impressed. Now I’m wishing I had a gallon of it for more projects. Then I needed the top part for the table. 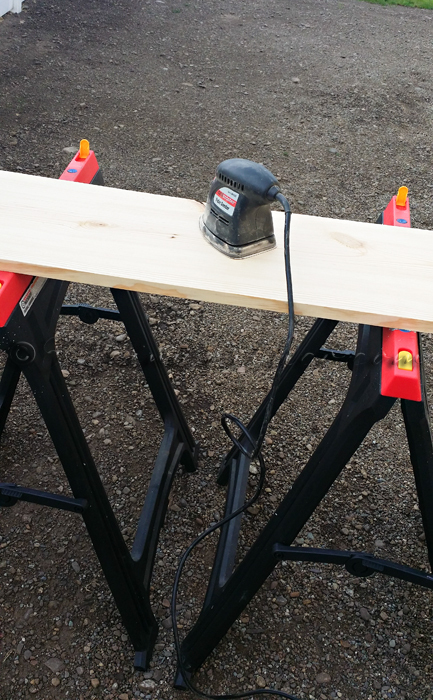 We picked up a plank at the hardware store & marked it & cut it to size. Gave it a little sanding to smooth the edges. 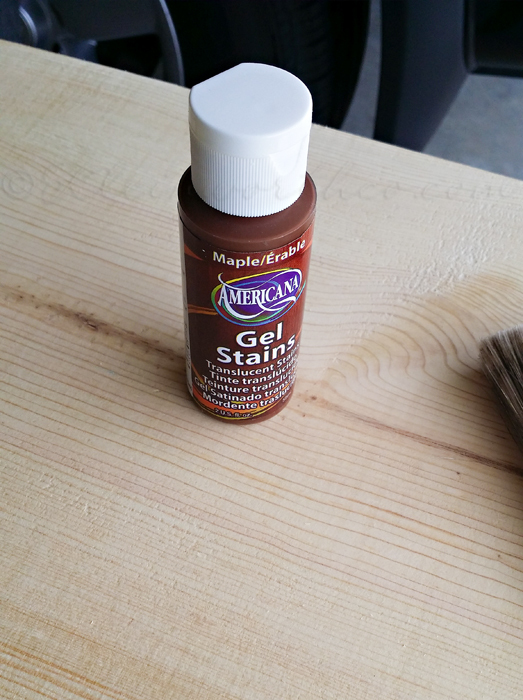 I used this Americana gel stain in maple. Let it dry overnight & then sprayed it with a clear sealant. Then we just used some wood screws to attach it to the pallet. At the end we used some metal brackets to attach it to the wall for stability. 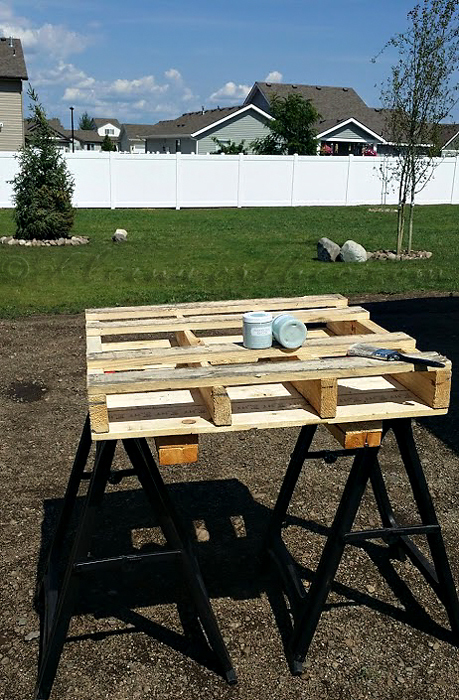 Here it is – DIY Pallet Console Table. It’s exactly like I imagined it would be. Which is pretty great because I will be the first to tell you that the hubs & I are very beginner level diy-ers. So I was pleased we were able to execute my vision & it all turned out. So if we can do it – you definitely can too. The space finally feels complete & gives me a smile when I walk through. As you can see in the distance – my studio is right off this area – so I get to enjoy it all day while I work. *Disclosure: I was given some of the products shown here in order to facilitate this post as part of he DecoArt Blogger Outreach Program. All opinions are truthful & my own. 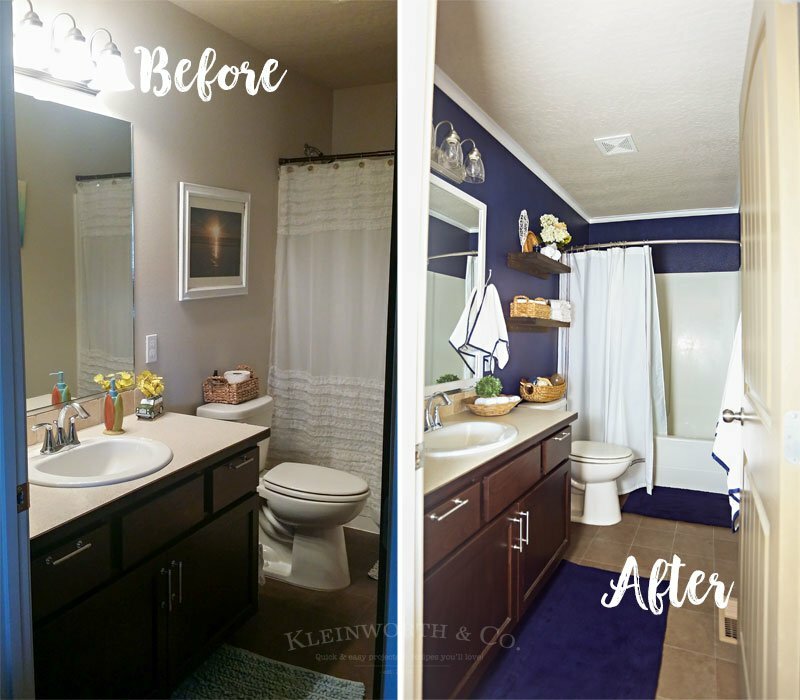 Want to see more of the projects around our house? This is so simple and pretty I am going to make one for my sunroom! This is so great! I have quite a few pallets in our garage that I need to do something with! I love the chalk paint you chose as well. 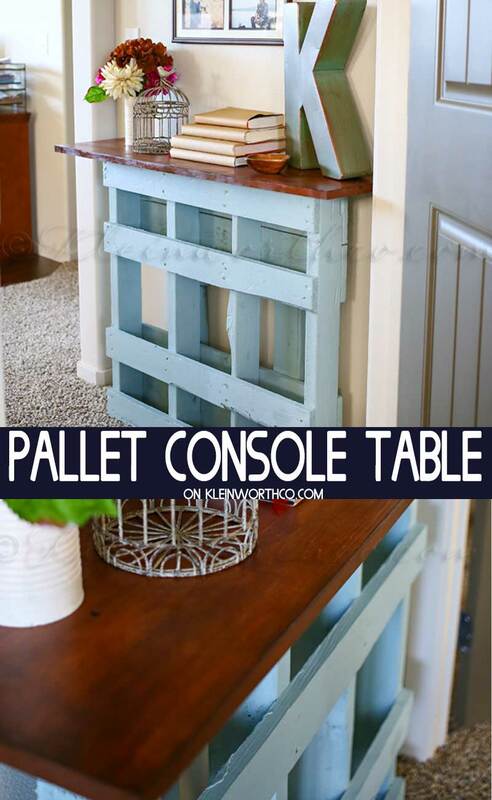 I have yet to work with chalk paint, but may use it on my pallets now. 🙂 Pinned! Oh please let me know when you do it. 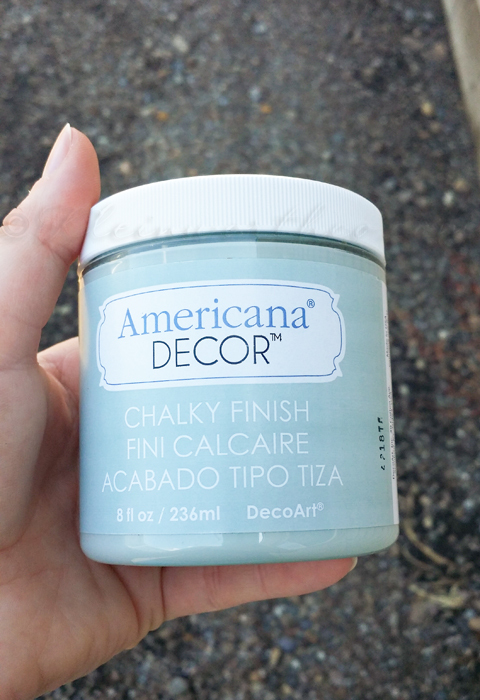 This was my first time with the chalk paint & I am sold. I love not having to prime first. I also tried the wax on top of regular interior paint that I used on some table legs – it really helped to seal it on there & keep it from scratching off or nicking. I highly recommend both products. That is so pretty. 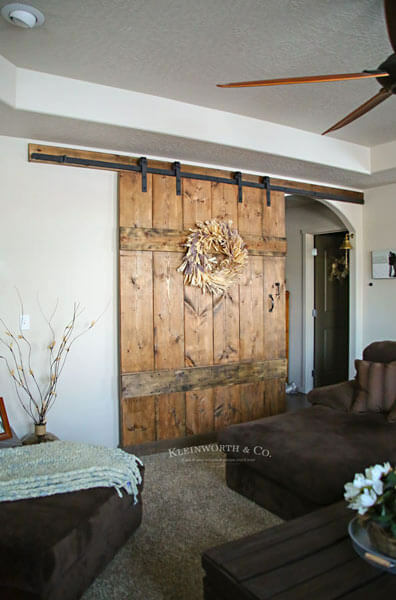 Would be great for narrow entry or hallways! This is so great! I love the simplicity of it. Thank you for sharing this! 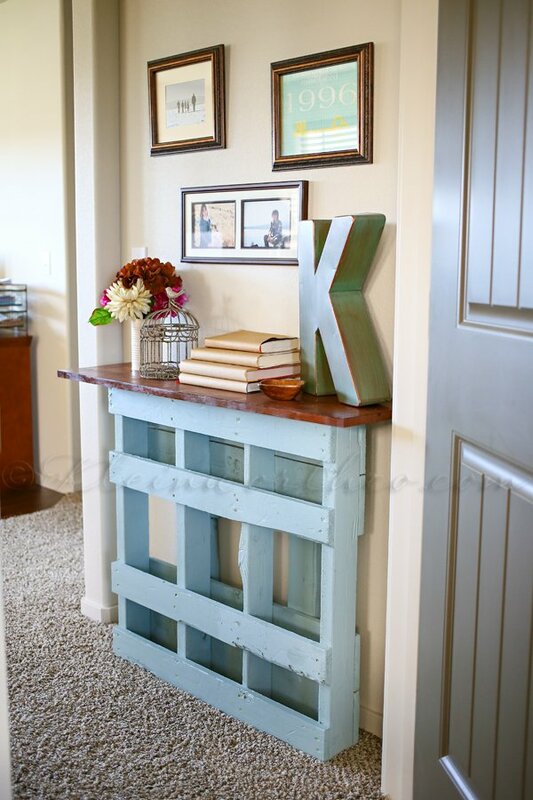 Beautiful colors and a great use for an old pallet! 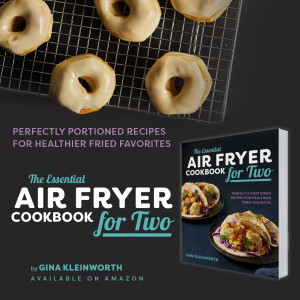 I’ve been wanting to make something like this and now I have a how to! This is awesome Gina!! Love it – featuring you tomorrow at Work it Wednesday. Thanks for sharing it! You are so sweet!! Thanks so much! Can’t wait for the party! I love it. You are an amazingly smart lady! Awesome project! Pinning and sharing! Thanks for partying with us at SHOWLicious! Thank you Lisa!!! I’m soooooo loving it too. I can’t believe I have lived without it all these years. It really does make life so much easier in the kitchen. So blessed we were able to do it & complete the space.